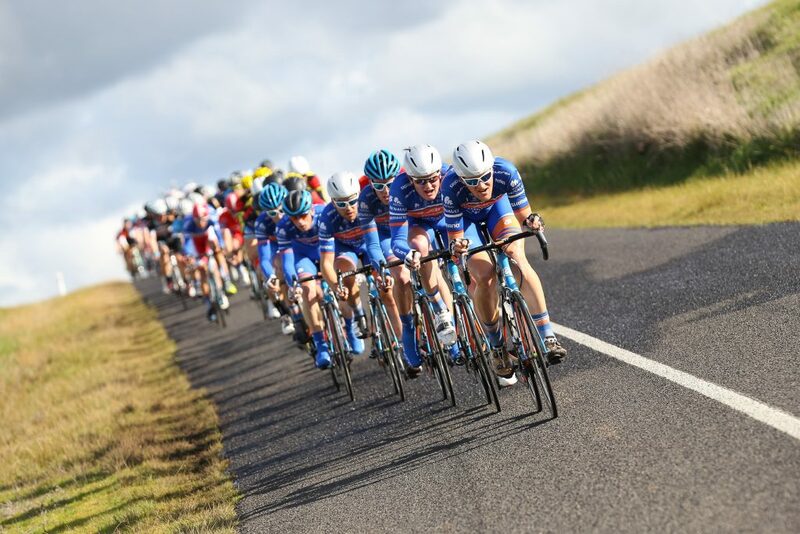 It’s fair to say Cycling Australia (CA) and its National Road Series (NRS) has copped some severe criticism in recent years. At Bike Chaser, Tommy Nankervis (ex National Road Series rider) made some suggestions on how road cycling at Australia’s highest level could be improved in a podcast titled “Why point-to-point racing is killing the National Road Series” on The Hollywood Hour in October 2017. 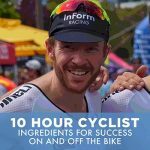 Kipp Kaufmann (General Manager Sports, Cycling Australia) listened to this podcast. While intrigued to learn more about Tommy’s ideas for improving the NRS, Kipp suggested a topical follow-on from that discussion would be for CA to outline their revisions and new calendar for the 2018 season on ‘The Hollywood Hour’. Staring down the barrel of a new year, it appears CA and event organisers have been listening to Tommy and broader criticisms about the NRS’s past. In this podcast Kipp details the upcoming 2018 season including the new race formats and processes that will be in place to ensure more opportunities for teams and riders at both local and international levels. While the changes are exciting and it appears Kipp and CA have been listening to the masses, Kipp is surrounded by three very passionate cycling advocates – Lee Turner (Host), Marcel Lema and Tommy Nankervis. 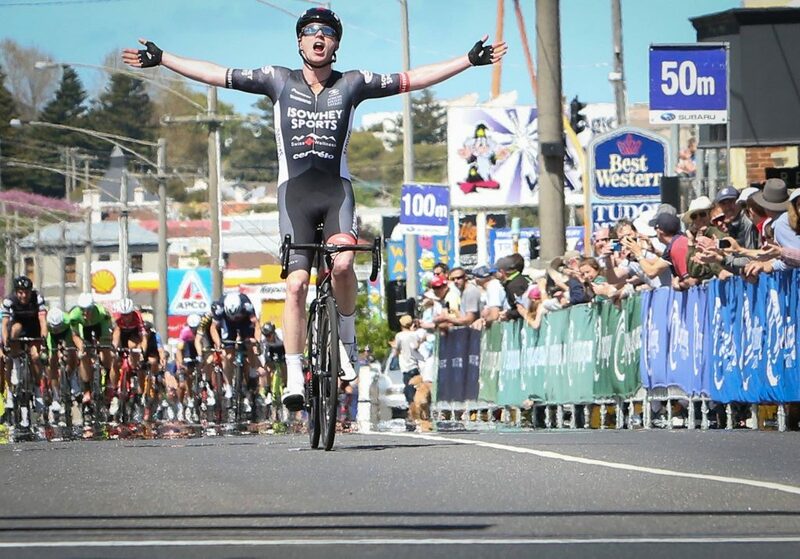 Some shots are fired at Kipp during this discussion, including the exclusion of the Melbourne to Warrnambool (Warny) in 2018 and the remnants of a time-based system of racing that has been criticised for derailing the rise of many young developing Australian cyclists. Lee starts off the conversation by asking Kipp about the new calendar and what’s in store for the NRS in 2018. Kipp outlines the new calendar at a high level, emphasising that 2018 will be focused on quality, not quantity. The season will also be run over the summer months and CA are working with race organisers to change up formats to make the racing more appealing to entice more sponsorship and fairer competition. Marcel applauds the changes made from a calendar perspective. Racing in summer will provide a better platform for teams to manage their load and keep riders more focused throughout a season. Kipp explains that part of the changes in 2018 will see more teams have the opportunity to participate in some of the UCI sanctioned events such as the Sun Tour and Cadel Evans Road Race. Lee asks Kipp about a website for the NRS; providing more media about the teams, the riders and the results. Kipp says it’s something that CA have received a lot of feedback on and they will continue to assess in the short term. Resourcing plays a big part in something like this. This picture demonstrates the dominance some teams have been driving in previous years. They control the front and nullify races. This type of culture is something CA is trying to minimise with the new 2018 racing format. 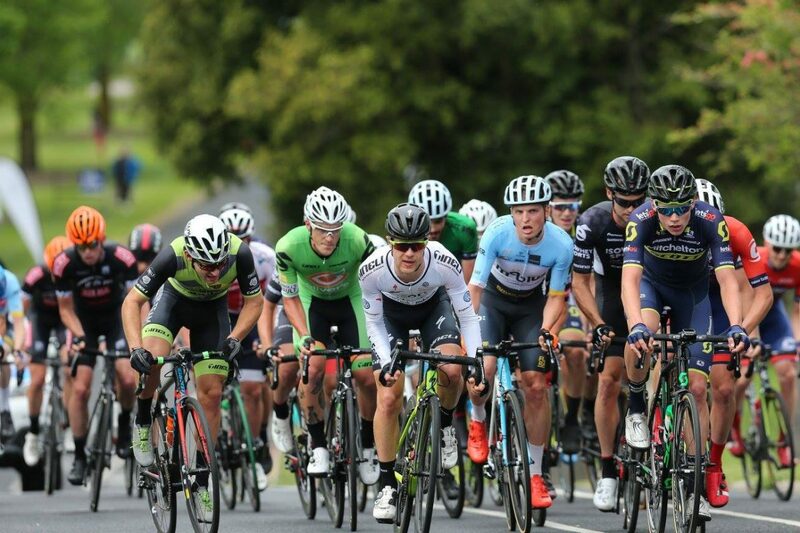 The conversation pivots into local racing, notably some of the larger non-CA criteriums in Australia – The Shimano Super Crit, the Noosa Crit and even some of the local critierium courses, such has Glenvale, Sandown and South Melbourne. Lee asks about Kipp’s view on these races. Kipp is very passionate about these non-CA-driven events and believes they’re a fundamental part of the cycling culture in Australia. While discussing this topic, Tommy emphasises the positive ‘winning’ culture that these locally run races enable, where riders can rock up on the day knowing there’s a chance to “throw your hands in the air”. This was a culture that was part of Australia’s national scene many years ago, but the introduction of teams in the NRS roughly 15 years ago has slowly seen the top teams dominate NRS races, nullifying stage races or even an entire series. Tommy probes Kipp about how the new format will help young developing riders in smaller teams get noticed. Continuing on the theme of local racing and teams nullifying races, Marcel discusses how this culture has made its way to the local club scene, where some teams will bring 10 riders and essentially control a local criterium, ultimately dominating the race. Marcel talks about strategies to minimise this at a local level, such as dividing NRS teams into two and having them compete against each other in the local crits. This will open up the race and provide a better conditioning environment for NRS team members in local club races. The group discusses the growth of the fondo events in Australia, such as the Amy Gillett and Peaks Challenge events. Being able the leverage these events to blend in NRS level races appears to be a concept that everyone agrees on. The fondo events offer closed roads, a festival like environment and circuits that are more in favour of the style of racing Tommy believes could entice more of that winning culture. Lee asks Kipp “if he had a crystal ball, what would the NRS look like in 2021?” Kipp outlines a framework of racing that entices more young people into the sport and provides a better pathway to the professional ranks; more quality people in the sport of cycling driving the right agenda, and more collaboration within the Asian cycling federations, so there are more opportunities and pathways available in the Asia Pacific region. 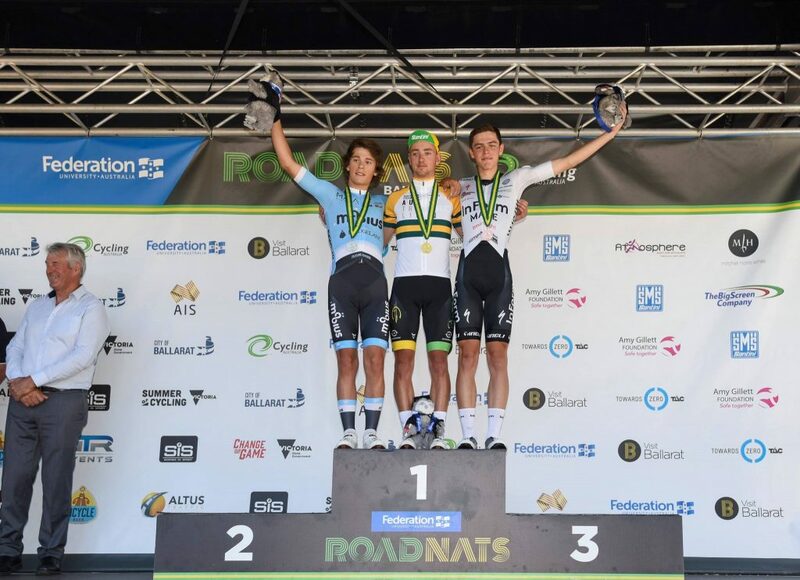 The men’s U19 National titles road podium – Victorian Carter Turnbull (InForm Make) third, New South Welshman Ben Metcalfe (Mobius Bridge Lane) second, and Western Australian Tyler Lindorff (WAIS) in first place. It’s important the NRS provides a platform for growth and development for the rising stars of Australia. Lee asks Kipp if there’s enough good people at the top of the sport and if there’s enough people with experience in cycling. Kipp outlines the blend of experiences within CV and the growing trend of board level members who have come from within the inner Australian cycling sanctum. Marcel talks about the need for people involved in cycling to be passionate about the sport. Cycling is not the industry to further pursue one’s corporate career. Marcel wants to see more young passionate people into the sport at the administration level too. Lee talks about the history of CA being negative and despite the fact CA have led some really positive changes for 2018, people are focusing on the one negative, being the exclusion of the Melbourne to Warrnambool in 2018. One of the changes in 2018 will see the famous Melbourne to Warrnambool take a back seat for the year. This picture shows Nathan Elliott from team Iso Whey taking out honours for the second time in 2017. He’ll have to wait until 2019 to defend the title. Marcel talks about the heartbeat of Australian cycling being at club level and Kipp says he’s 100% right. Kipp says focusing CA’s efforts right down at the local cycling clubs is the next step once they have implemented this revised 2018 framework of racing. Tommy corrects a comment Kipp had said earlier. Tommy says CA’s agenda should be about creating pathways to overseas for “good riders” as opposed to being a “good rider in a good team”. Tommy says things still appear to be focused on tipping the top-level riders (in the top-level teams) up higher as opposed to balancing out and identifying unknown, young and upcoming talent. Tommy talks about providing the best riders the best opportunity being tricky as each top level team has 16 riders and only 7 team members are allowed to participate in an NRS race. Kipp talks about fewer or no time trials in the 2018 season will make the racing better for the riders and also spectators. This will reduce the big teams nulfiying a race. Tommy believes the best thing that can happen is time based racing is scraped and everything is turned into a points/omnium system. Kipp says that is what Cycling Australia is working towards (a fairer system) and Kipp thinks an omnium model is worth looking deeper into. Marcel adds another level on top of Tommy’s points series system that all racers across the country, including crit racing, should carry some points. This also drives more people to the local club scene. Marcel says while we’ve opened the sport, at the same time people have their social media accounts and beach road to get their fix. Marcel thinks we need to bring back the prestige into the sport of cycling. We need to lift the profile of racing, which he believes could entice an extra 10-15 percent into racing that perhaps could have been happy on Beach Road taking social media posts of themselves previously.